Herbs are hardy plants that grow with little maintenance. The leaves can be dried and used to add flavor to your favorite dishes and make delicious tea or for various medicinal purposes. Although herbs can be planted in a herb garden, most are ornamental enough to tuck between plants in a perennial garden. Most herbs are drought tolerant and especially well-suited for Texas' hot, arid climate. Plant herbs in autumn or in early spring so roots have time to establish before the arrival of hot Texas summers. Determine which herbs will best serve your particular needs and available growing space. Herbs can be planted in a herb garden set aside especially for that purpose or can accentuate flowering plants in a perennial garden. Plant culinary herbs in small areas near your kitchen door. Place aromatic herbs along a sidewalk where the aromas can be enjoyed. Purchase herb seed packets at a garden center or nursery. If you prefer, get a head start on your herb garden by purchasing small garden-ready herb plants. 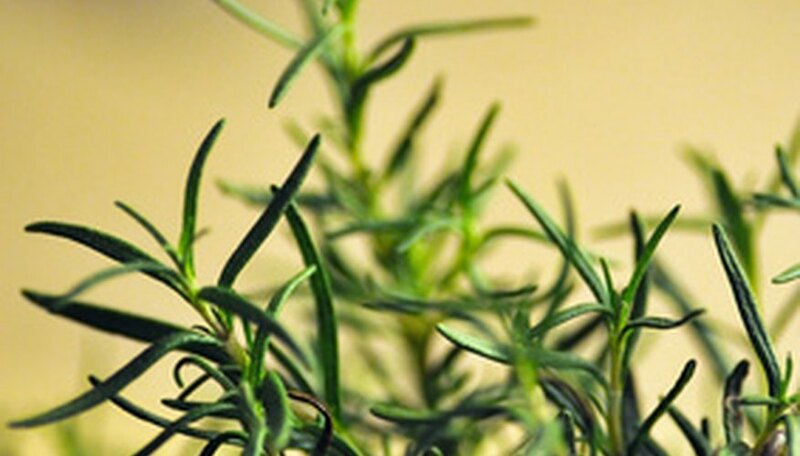 Choose the best spot for your herbs, according to the necessary amounts of sunlight. Most herbs, including rosemary, lemon balm, basil and lavender, need six to eight hours of bright sunlight every day and will have no problem adapting to a hot Texas summer. Some herbs, such as cilantro and fennel, will do better with morning sun and afternoon shade. Read the information included with the seed packet or garden-ready herb plant carefully for specific information. Make sure the planting area is well drained as no herb plant will do well with wet feet. If you live in an area of Texas with clay soil, the soil must be improved before you plant herbs. Cultivate the soil to a depth of 10 to 12 inches using a shovel or tiller. Add at least 6 inches of organic material such as peat moss, compost, rotted manure or any combination of those materials. Mix the organic material into the soil. You can also build a raised garden from lumber, bricks or concrete blocks and plant herbs in the raised garden. Plant herbs seeds in the prepared spot in autumn or as soon as any danger of frost has passed in spring. Cover seeds lightly using no more soil than twice the size of the seed. Tamp the seeds down lightly and water them with a hose and spray attachment. When the seedlings are about 2 inches tall, thin the smallest seedlings, leaving about 1 inch between the remaining plants. Plant garden-ready herb plants in spring. Keep the soil moist for the first two to three weeks. Then water the herbs deeply during hot, dry weather. Don't water again until the top of the soil is dry, as most herbs are drought tolerant and should not be watered excessively. Deadhead (pinch off) the tops of the plants occasionally to stimulate bushy growth and promote more blooms. Spread 2 to 4 inches of organic mulch around the herb plants, keeping the mulch replenished at all times. Mulch shredded leaves, dry grass clippings, bark mulch or pine needles to cool and enrich the soil, deter weeds and retain moisture. During the winter mulch will help to insulate the roots. Harvest herbs as needed throughout the growing season. Harvest herbs during the cool morning hours while the plants are hydrated and the flavors are peaking. Most herbs can also be planted in containers. Choose a solid container with a drainage hole in the bottom and plant the herb seeds or garden-ready plants in commercial potting mixture. Put the container in a sunny spot. Check the soil often as container-grown herbs will dry out quickly. Bring the herb plant indoors during cold winter weather.